Developed out of Franke’s constant drive to be the world leader in coffee machine innovation, the Franke A600 serves up premium barista coffee and other hot beverages at the touch of a button. Capable of dispensing up to 350 cups of coffee per day. The intuitive touch screen makes operation simple and efficient for you and your team. Browse all of your beverage options that are neatly and clearly displayed on the 8 inch screen — simply make your selection and indulge yourself! 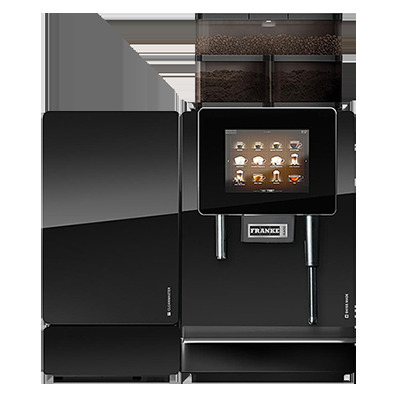 The Franke A600 has a fully automatic cleaning system, that executes a milk cleaning sequence every 20 minutes. This means that you can enjoy a hygienic and spotlessly clean A600 FM at all times with the greatest of ease. Fitted as an option, the FoamMasterTM system is an advanced milk system that uses a special method of foaming that guarantees the perfect foam in every cup. 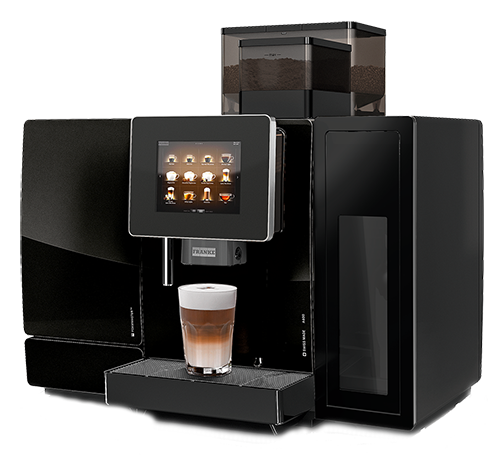 Heated to exactly 64 degrees, the FoamMasterTM milk system enables you to enjoy milk foam as if it has been prepared by a barista. The consistency and thickness of the foam can be adjusted according to individual preference. Under high outputs and the highest of demands, the foam will remain of outstanding consistency. Enjoy endless drinking combinations with hot and cold milk foam to create a range of beverages. FoamMaster™ not the right option for you? offers hot and cold milk foam, and exact dosing via milk pump. Either way, the A600 will thrill you with the complete taste experience. 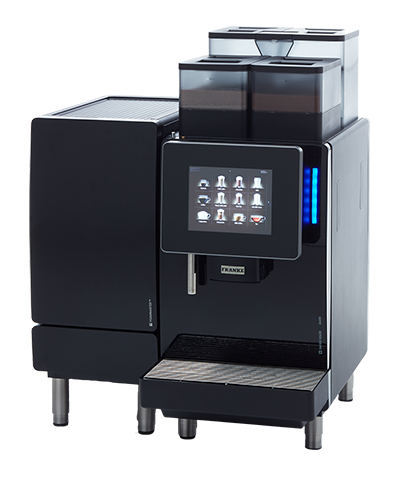 is the ultimate workplace coffee machine available for rent or purchase. Franke A600 not for you? Browse our other office coffee machines to find your perfect machine.